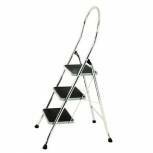 3 Tread White Step Ladder 359294 Pack of 1 White painted steel frame with black slip resistant treads. Rubber handles for extra comfort. Comply to EN131 standards. Load capacity 100kg. 3 Tread. 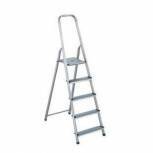 Aluminium Step Ladder 6 Step 358740 Pack of 1 Large serrated platform and wide non-slip treads. 600mm safety rail and non-slip feet. Max. load: 150kg. Manufactured to EN131 for trade use and to GS standards. No. of treads: 6. Height to platform: 1190mm. Non returnable. 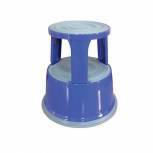 Q-Connect Metal Step Stool Blue KF04847 Pack of 1 Q-Connect Metal Step Stool. Features spring loaded castors that retract once weight is applied to the stool. 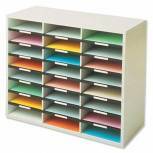 Ideal for warehouse, retail, office or domestic use. Height: 43cm.Maximum weight capacity: 150kg. Colour: Blue. 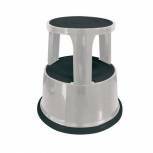 Q-Connect Metal Step Stool Light Grey KF04844 Pack of 1 Q-Connect metal step stool. Features spring loaded castors that retract once weight is applied to the stool. 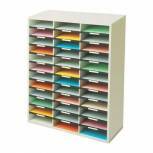 Ideal for warehouse, retail, office or domestic use. Height: 43cm. Maximum weight capacity: 150kg. Colour: Light Grey. 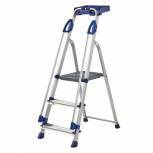 Werner Blue Seal 3 Tread Professional Aluminium Step Ladder 7050318 Pack of 1 Professional Aluminium Step Ladder suitable for professional and domestic use. Features extra large standing platform, strong treads for comfort and security and twin safety hand rails. 3-tread. Height - 580mm. 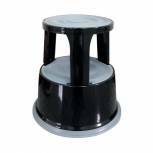 Q-Connect Metal Step Stool Black KF04845 Pack of 1 Q-Connect metal step stool. Features spring loaded castors that retract once weight is applied to the stool. Ideal for warehouse, retail, office or domestic use. Height: 43cm. Maximum weight capacity: 150kg. Colour: Black. 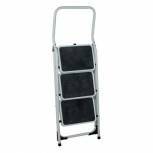 Folding Step Stool 3 Tread High Back White Aluminium 321678 Pack of 1 Tubular steel frame, for light duty use. Large slip resistant treads. TUV tested/GS approved. Folds flat for easy storage. 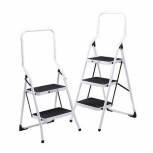 Folding Step Stool 2 Tread High Back White Aluminium 321676 Pack of 1 Tubular steel frame, for light duty use. Large slip resistant treads. TUV tested/GS approved. Folds flat for easy storage. 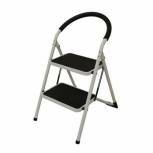 Chrome High Back Folding 2 Tread Step Stool 321677 Pack of 1 Attractive design, chrome plated frames with Black ribbed steps. Extra high safety rail and self locking safety catch. TUV tested/GS approved. For light duty use. 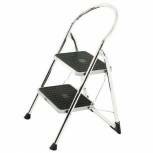 Folding Step Stool 3-Tread High Back Chrome 321679 Pack of 1 Attractive design, chrome plated frames with Black ribbed steps. Extra high safety rail and self locking safety catch. TUV tested/GS approved. For light duty use. 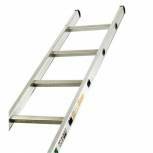 Aluminium Single Section Ladder 2410mm 8 Rung 323138 Pack of 1 Manufactured to European Standard EN131, industrial use (also NF and GS Standards). Extra width - easier to climb, greater stability. Square rungs with flat top give added grip. Rubber feet both ends. Non returnable. Aluminium Single Section Ladder 2960mm 10 Rung 323140 Pack of 1 Manufactured to European Standard EN131, industrial use (also NF and GS Standards). Extra width - easier to climb, greater stability. Square rungs with flat top give added grip. Rubber feet both ends. Non returnable. Aluminium Single Section Ladder 12 Rung 3530mm 323142 Pack of 1 Manufactured to European Standard EN131, industrial use (also NF and GS Standards). Extra width - easier to climb, greater stability. Square rungs with flat top give added grip. Rubber feet both ends. Non returnable. Single Section Aluminium Ladder 4090mm 14 Rung 323144 Pack of 1 Manufactured to European Standard EN131, industrial use (also NF and GS Standards). Extra width - easier to climb, greater stability. Safer operator descent. Square rungs with flat top give added grip. Rubber feet both ends. Non returnable. 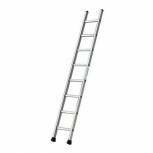 Single Section Aluminium Ladder 4650mm 16 Rung 323147 Pack of 1 Manufactured to European Standard EN131, industrial use (also NF and GS Standards). Extra width - easier to climb, greater stability. Safer operator descent. Square rungs with flat top give added grip. Rubber feet both ends. Non returnable. 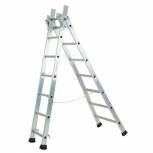 Transformable Aluminium Ladder 3 Section 6m 329051 Pack of 1 Fitted with plywood base to underside for added strength. Temperature range -20/+60 degrees C. Tapered sides. 307 litre capacity. 2x75mm/2x100mm fixed nylon castors in a diamond pattern. L1041x W749xH737mm. Colour - Black. Non returnable. 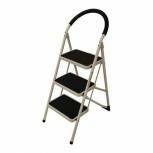 White 2 Tread Step Ladder 359293 Pack of 1 White painted steel frame with black slip resistant treads. Rubber handles for extra comfort. Comply to EN131 standards. Load capacity 100kg. 2 Tread. 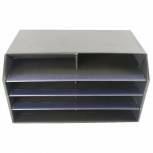 Fellowes A4 Literature Sorter 24 Compartment Dark Grey 25041 Pack of 1 New range of pigeon hole units ideal for sorting literature, mail etc. Melamine laminated particle board shell for long life, with a corrugated board divider system. Easy to construct and dove Grey in colour. 24 compartment W737xD302xH594mm.